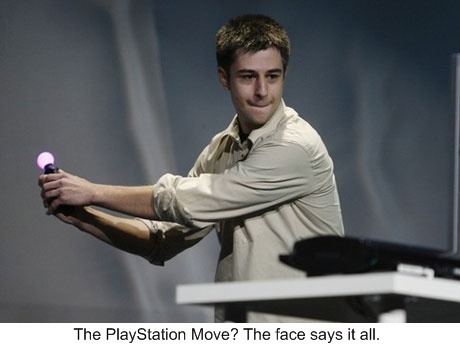 Anyway, after speculations on what would be the name of Sony’s answer to Nintendo’s Wii Remote (the most common being Arc), Sony has announced in Game Developers Conference 2010 that its motion controller shall be called PlayStation Move. Expect it to arrive in stores last quarter of this year (in the US, that is) in 3 ways: standalone, a starter kit with 1 PlayStation Move, one EyeToy – which is required, BTW, to use PS Move, and one unnamed game (unnamed so far), and one bundled with a PS3. Only the starter kit has a price – US$100. Am I excited? I dunno. It depends on the gameplay, I guess. But look-wise? It’s like a scepter or something. That globe on top is the dealbreaker. I hope you can use the Move without that globe. What can I say about Dynasty Warriors 6 (for PS2)? This is not your mother’s Dynasty Warriors. Gone are the days of mindless hacking and slashing. Gone are the days of collecting fourth weapons. Koei has finally managed to inject fresh air into an otherwise aging game series. Do I like the changes, though? 1. Gameplay – Still hack and slash, but with major changes. Basically, it just got harder to beat this game. Even in easy mode, the generic enemy generals (including the lieutenants) will give a good fight – they will defend more often. The horses are slower this time, so rushing when needed becomes frustrating. And the terrain – oh boy. The overhead map is not enough; it is easy to get lost, specially on mountainous terrains (hello, Mt. Ding Jun). There are places where you have to climb stairs – annoying if you don’t want to leave your horse. 2. Graphics – Problematic on PS2. There are points where the game shows serious slowdown, especially on two-player mode. And on two-player mode, the look of the game is almost similar to DW4. The character design is awesome, except on some characters. Dong Zhuo is scary, Lu Bu is so-so, Sima Yi is diabolical. 3. Music – DW5 is better. Just listen to the music at the end credits section. 4. Re-play factor – A new skill upgrade system, several musou characters to play. Gone are the fourth weapons. Should you get it? If you are a big DW fan, you should not be asking that question. If you think you can stand the lag, and like a challenging hack-and-slash game, then I suggest you try this game.